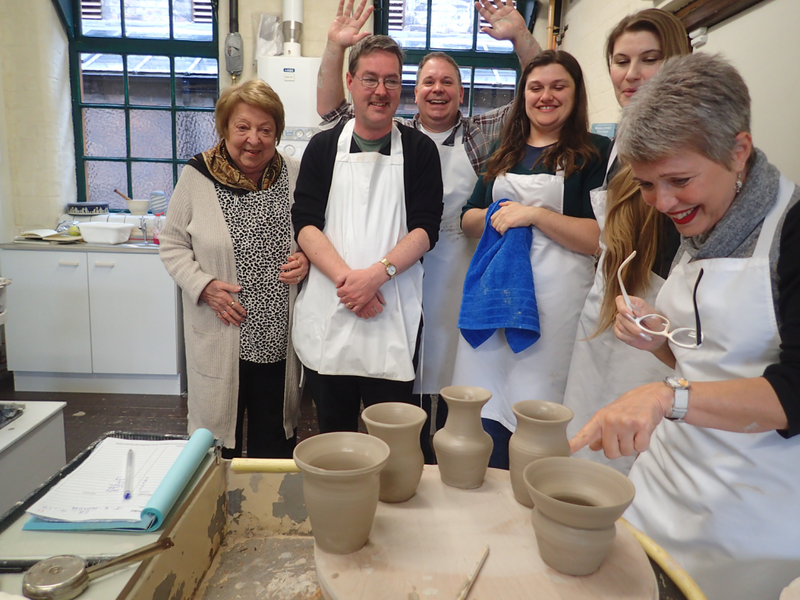 We all know that North Staffordshire and the city of Stoke are world famous for pottery making, but did you know that the art of pottery making is both relaxing and enjoyable – and a creative craft which promotes wellbeing? 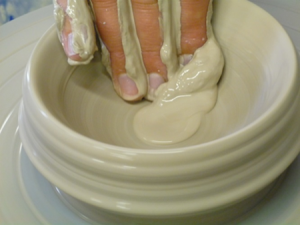 Handling clay, (which is after all just mud from earth), and throwing it to the wheel, can promote a sense of feeling centred and grounded. Keeping the hands busy and the mind thinking creatively, can provide a sense of ‘escape’ and provide distraction and relief from any outside worries. Being Creative – Within the pot you can produce something that expresses who you are – its form shaped entirely by your own imagination. It’s like creating something out of nothing. 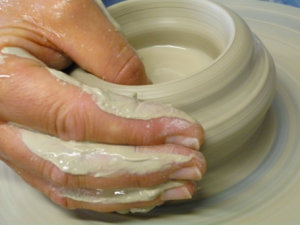 Self-expression through clay can bolster self-confidence and self-esteem. Mindfulness – As a sensory activity, clay work is immersive, focusing thoughts on keeping control of the shape of the pot. By focusing on your creation, it shifts your thoughts away from anything else. You effectively become immersed in your pot, so helping other parts of the mind to relax. Connection – Expressing your creativity is important to expand who you are and how you connect to yourself and the wider environment. Group work provides a great opportunity to socialise with other potters, whilst still allowing some for silence, especially when everyone is busy and engrossed. The casual atmosphere helps relax any social anxieties and the making often helps to start new conversations, to make new friends. It also allays people’s fears like “I’m just not creative” – everyone can be creative with clay. 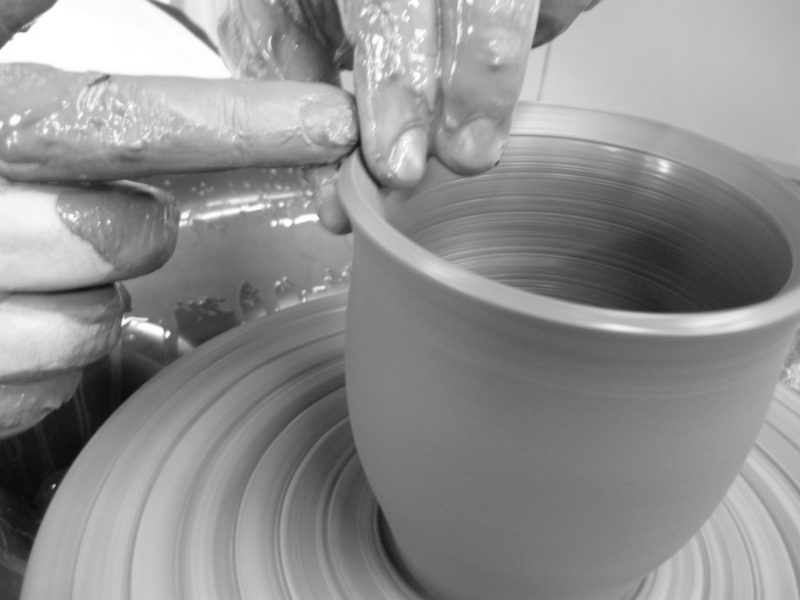 Confidence – Through pottery, people of all ages can explore the things and gain confidence in what that they can do. 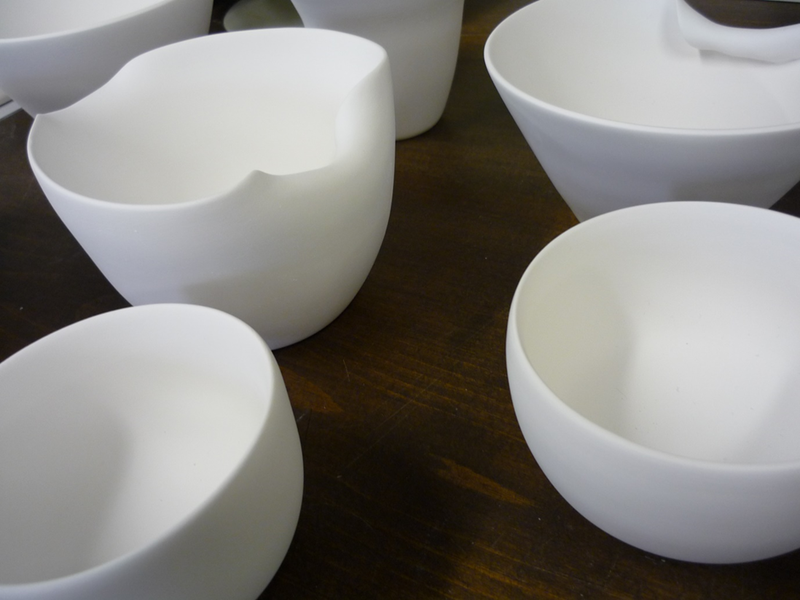 From hand forming a simple clay dish, to throwing on the wheel, then glazing and decorating a fully fired pot – who knows you may be a lot more creative than you think! Reducing stress – Manipulating the hands and fingers using our sense of touch are essential to expressing ourselves and our creativity. You require a lot of direct attention while you’re making pottery, and somehow distractions from outside no longer seem to stress you out. 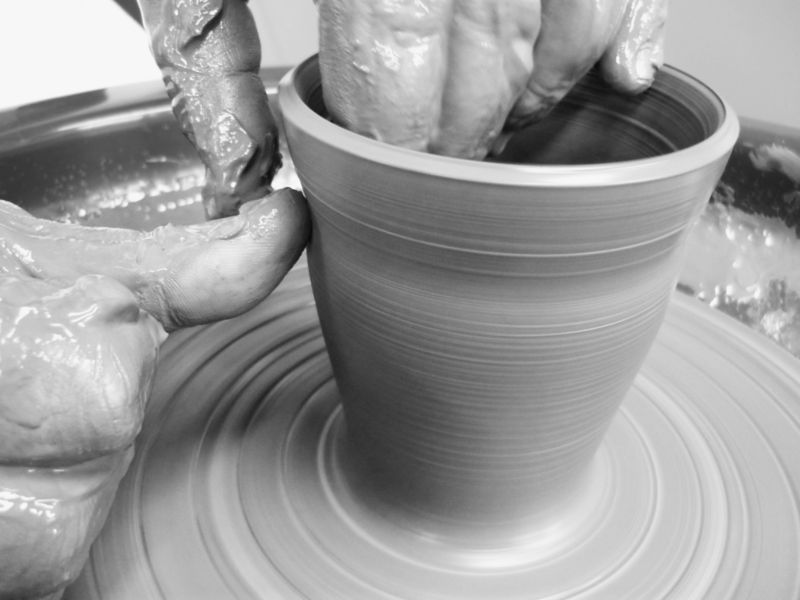 Physical – Making pots is gentle and yet strengthening to the fingers, hands and wrists. For those people prone to arthritis, it can foster improved joint movement and better dexterity. 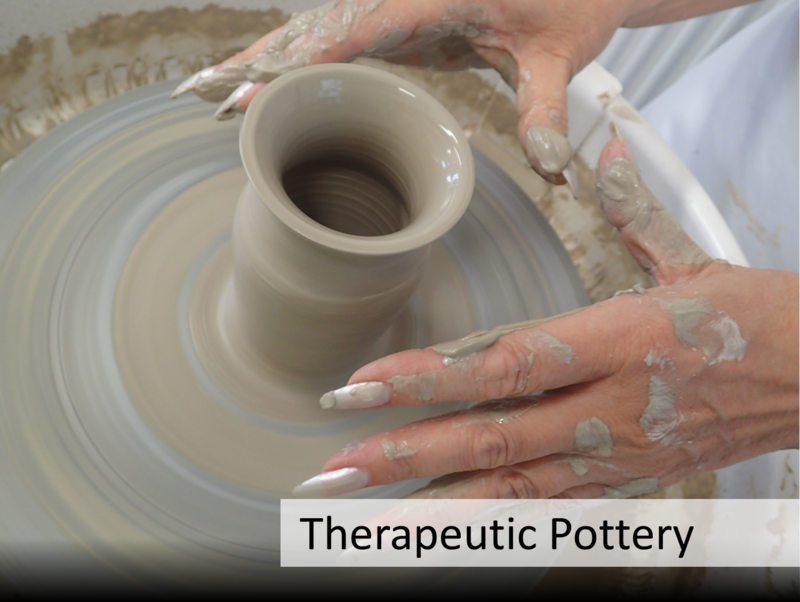 Quality of life through learning – Turning creative projects like pottery into a hobby, and by developing skills and learning new techniques, does tend to give a tremendous sense of achievement which enhances quality of life. 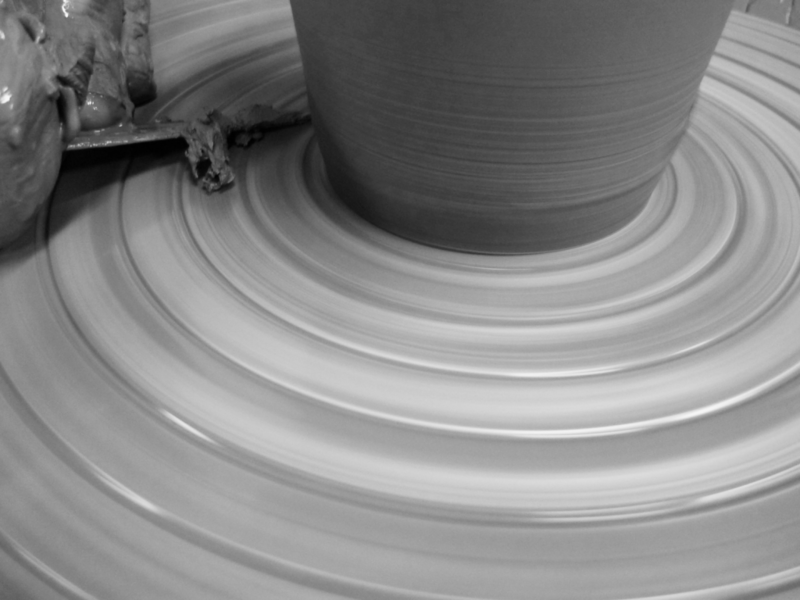 Making memories and capturing creativity – Pottery has an innate ability to capture and freeze forever a moment’s creativity. From artifacts found from long lost ancient civilizations, to shards of pottery dug up as remnants from our own local industry, pottery preserves a sense of history and protects a heritage. It lives on long beyond the life of its creator. Through your pottery, something of you has the potential to last forever. 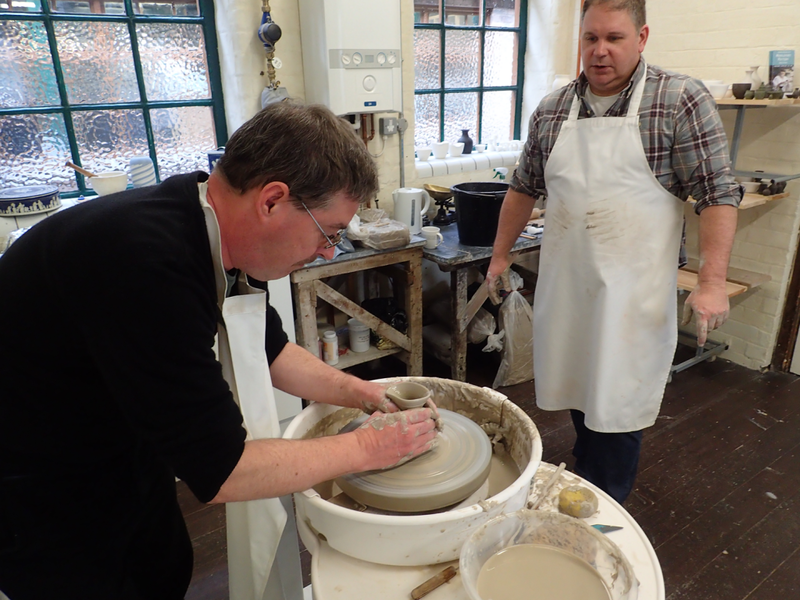 So why not come and join our collaborating artist and master potter Jon French on one of our workshops or courses – who knows you might be the next contestant on the new series of BBC2’s The Great Pottery Throw Down. We’ll be hosting weekend experiences, evening classes and weekday courses at venues like the beautiful Keele Home Farm (Sustainability Hub) or Jon French’s own studio at the historic Middleport Pottery. We’ve also got our very own portable pottery wheels – so we can bring the very best of Staffordshire pottery making to you! 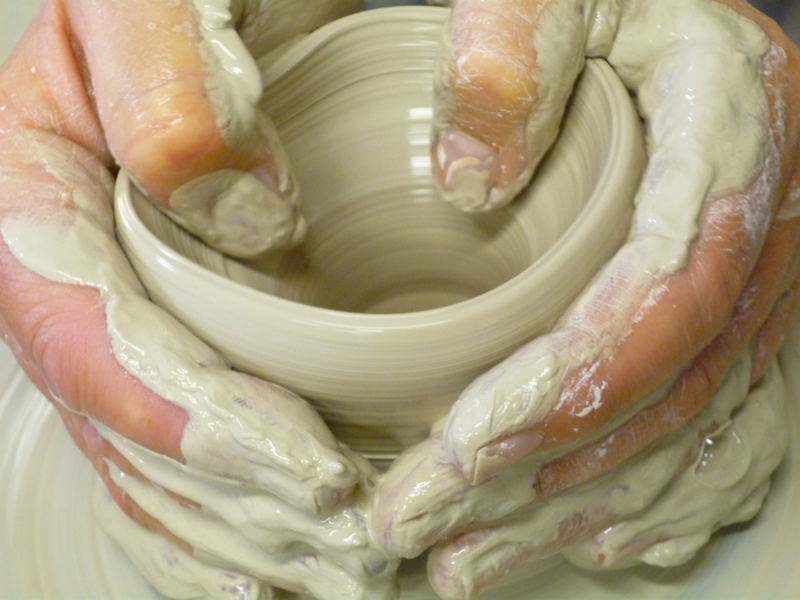 We can even do pottery throwing as a corporate event – everyone likes getting their hands dirty, especially people often chained to their desks! Challenge colleagues to express their creativity – and see who can throw the best pot. 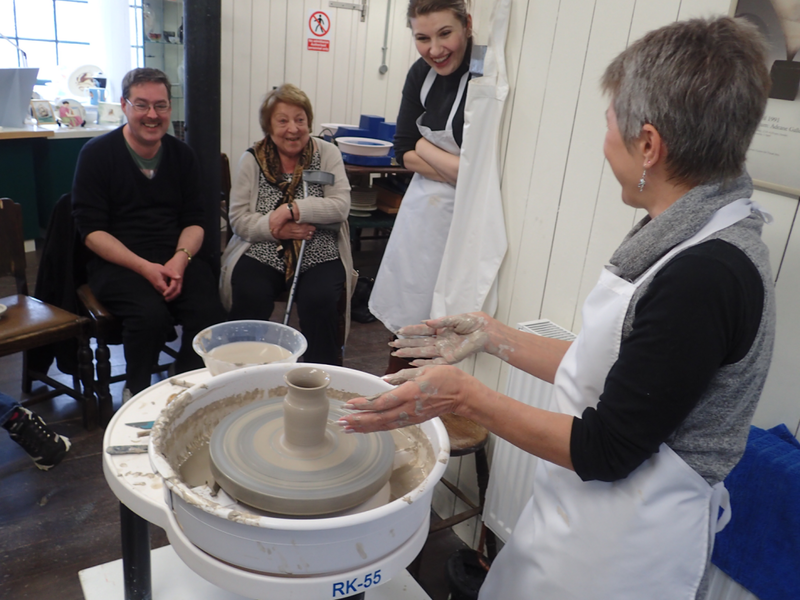 Check out our Events Calendar for our forthcoming Therapeutic Pottery and Pottery Making courses and events. Contact Us to reserve your place on forthcoming events, or for prices to bring pottery throwing experiences to you.